Wanna learn 'real Korean'? Then you're on the right page! Hello, I'm teacher Mia. I'm native Korean born in Seoul, South Korea. 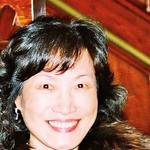 I have a big passion and pride in tutoring students as a native Korean teacher. '진짜 한국어'를 배우고 싶나요? 그렇다면 잘 찾아오셨어요! 안녕하세요. 여러분의 선생님 Mia 입니다. 저는 한국에서 태어나고 자란 한국사람이에요. 열정과 자부심을 가지고 한국어 강사로 일하고 있습니다. - Worked as a Korean, English and Indonesian tutor for 9 years. 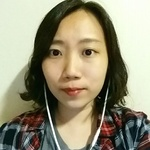 - Depending on student's needs, I offer structured lesson with textbook&workbook (recommended for beginner-intermediate level students) or focus on free conversation with idioms, everyday phrases, pronunciation... etc (recommended for advanced level students) - Students involved are: English teachers&professors living in Korea, Flight Attendant, Video Editor, University Students, Tour Guide, Student who love Korean culture including Kpop&Kdrama, Students planning to study or work in Korea... etc. 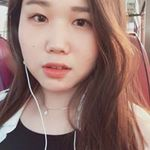 - I speak formal Korean with Seoul dialect - I speak fluent English, so both Korean and English will be used in class for better understanding if needed [Beginners] Are you an absolute beginner? Then what are you waiting for! There's nothing to worry about since the teacher speaks fluent English and we will learn the basics from 한글(Hangeul) Learn basic Korean with teacher Mia starting from ㄱ to ㅎ :D [Intermediate] Conversational Korean on a daily basis. Teacher leads students to learn daily korean expressions by talking about various daily free topics such as school, work, hobby.. The class is always fun and vibrant so students can naturally improve their conversational skills through class. [Advanced] - For students who have studied Korean for a long time but need speaking and listening practice. - For students who're advanced level and want to keep up Korean skills with a experienced native teacher We will develop our conversation from various topics and practice phrases and idioms within the conversation. Complete your Korean with a skillful native Korean teacher!